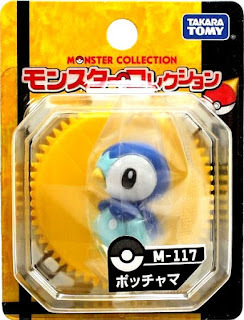 Pokemon figure Takara Tomy Monster Collection MC series Piplup ポッチャマ. 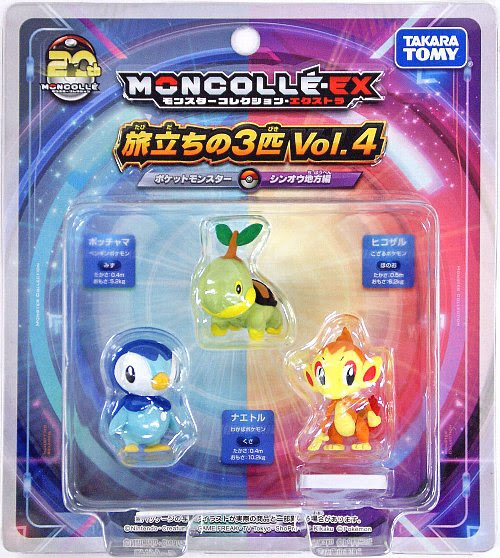 Same pose in Trainer set Platinum version Girls. New pose hands up version in 2007 Seven Eleven movie promo. 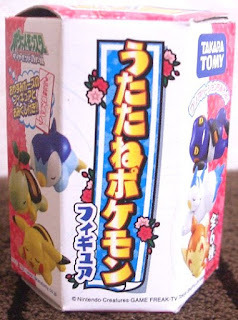 New pose sitting version in 2008 Ito Yokado movie promo. 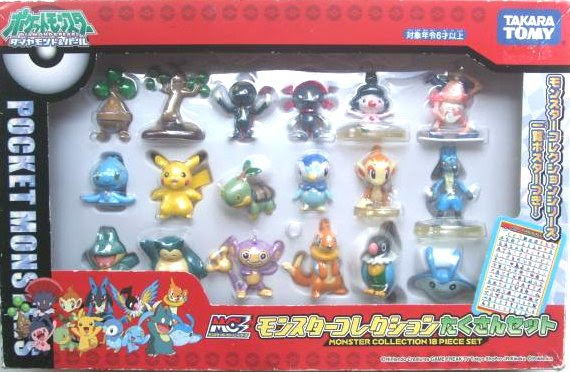 Same pose in Monster Collection DP figures 6pcs B set. 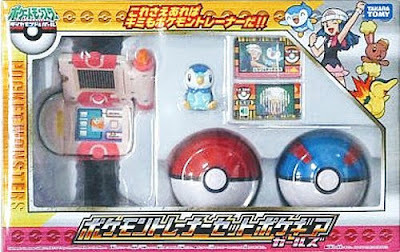 Same pose in Trainer set PokeGear Girls. 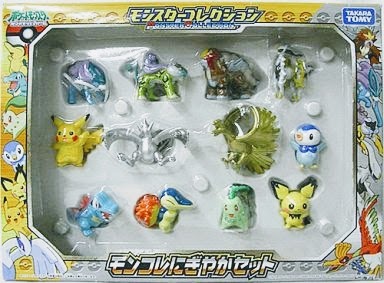 Same pose (2007 Seven Eleven) in Movie Diorama 8pcs figures set. Same pose (2007 Seven Eleven) in Platinum 18pcs figures set. 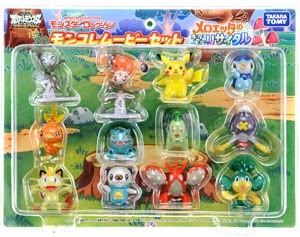 Same in HGGS 12pcs figures set. 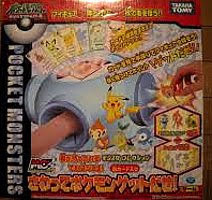 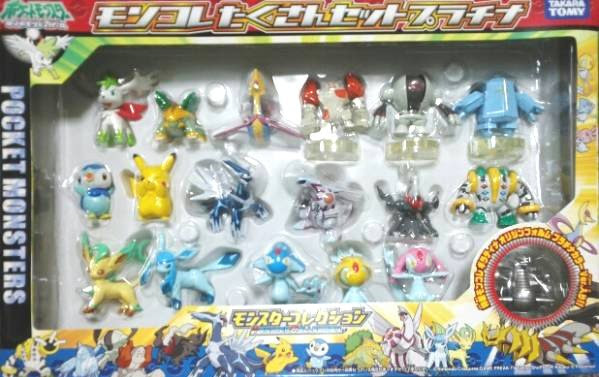 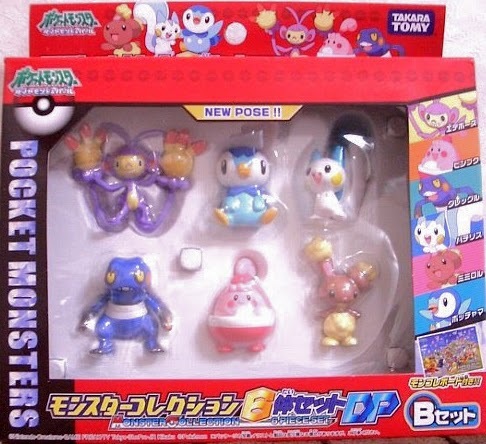 Pokemon figure Tomy Monster Collection Plus series. 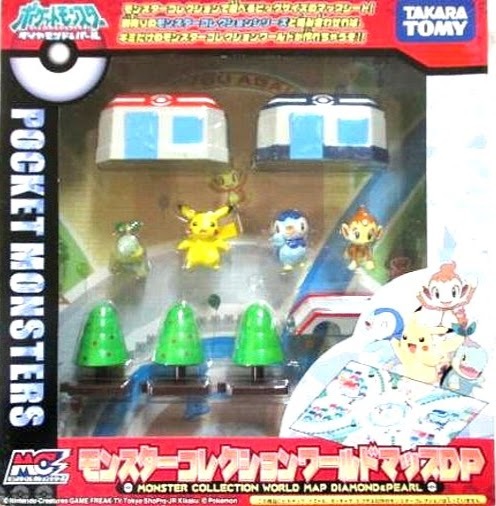 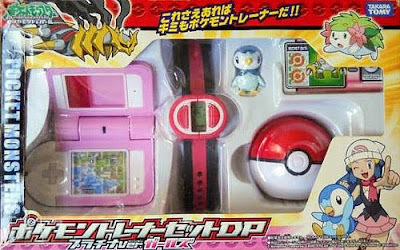 Same pose (2007 Seven Eleven) in Pokemon toys Takara Tomy "World map DP ワールドマップDP " and "Touch & Get さわってゲットだぜ". 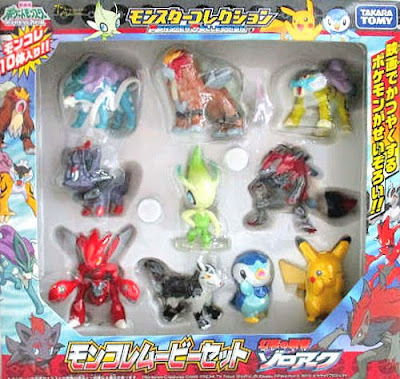 Same pose (2007 Seven Eleven) in 2010 Zoroark movie set. Same pose (2007 Seven Eleven) in 2012 Meloetta movie set. 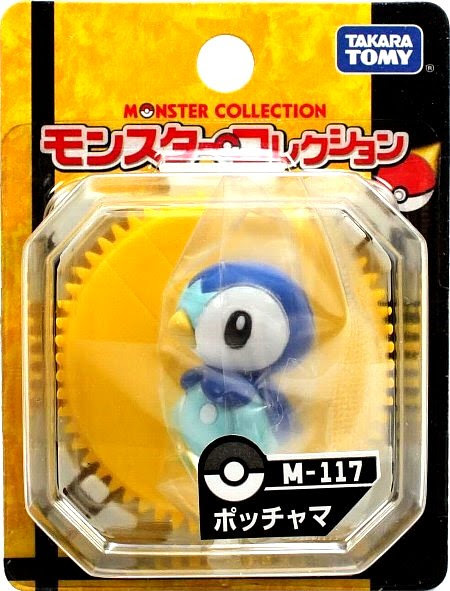 Piplup in YJ Auction ? 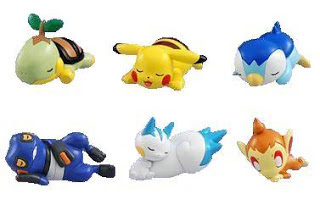 Sleeping Piplup in eBay ? 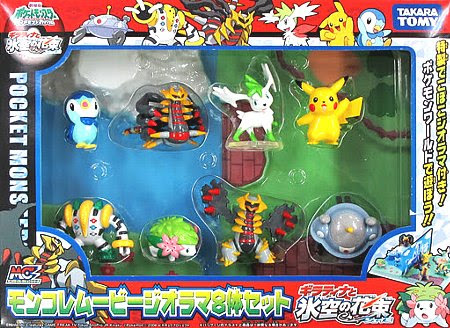 Sleeping Piplup in YJ Auction ? 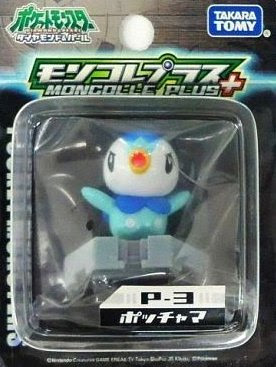 Sleeping Piplup in Suruga-Ya ?